Every time I sit down to write one of these, I am shocked at how quickly the time goes by. I'm like, "Wait! I had so much more to blog about!" Well let's jump on in. Here is my November Recap and December Goals. 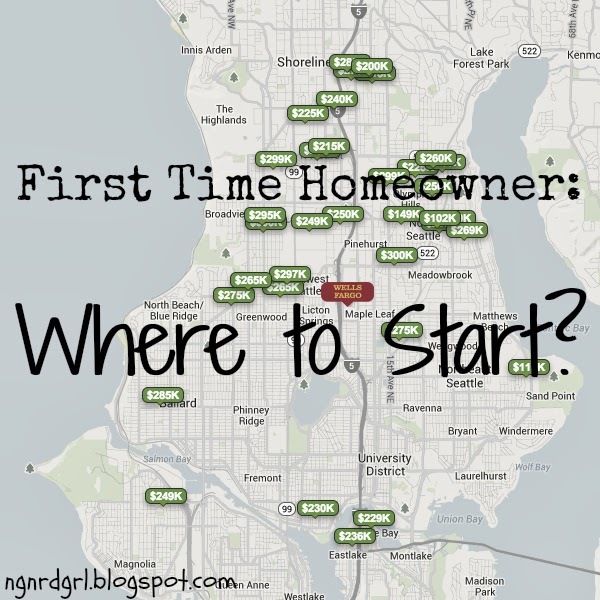 This month I wrote a post on what I learned from the First Time Homeowner class that I took in October. I got preapproved for a home loan and we met with a realtor and started our search for a house for real. We have driven by 9 houses, gone to two open houses and had our realtor show us 3 houses. Guess, what? We are making an offer on a house! We don't want to get our hopes up. I know a gal at work who made 6 offers on houses before she decided to just build one herself. But... Perhaps we will be in our new home early in the new year? Back on the 9th we had early Thanksgiving. My brother, sister-in-law, nephew and my other brother's girlfriend wouldn't be able to make it to Thanksgiving this year. It is so important to my mom to have everyone together since her first grandbaby was born. Doesn't help that my fiance and I will spending Christmas with his family this year. 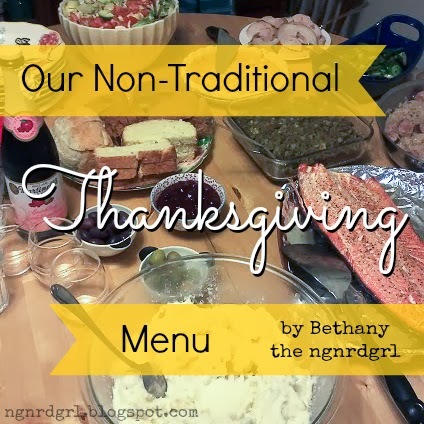 I shared Our Non-Traditional Thanksgiving Menu with you. It was quite yummy! Our Non-Traditional Thanksgiving Menu - We always have a non-traditional menu for Thanksgiving. We still got together for Thanksgiving with who was available, but we had an even less traditional Thanksgiving meal. Since we had already done the big Thanksgiving meal, I offered to make pizza dough in my bread machine if my mom got all the toppings. It was a ton of fun having a Homemade Pizza party for Thanksgiving. We made two supreme pizzas with pepperoni, fresh made italian sausage, green peppers and onions. We also made two chicken bacon ranch pizzas. This pizza is so yummy! Instead of red sauce, use ranch dressing. Homemade Pizza - This recipe has been great for us. 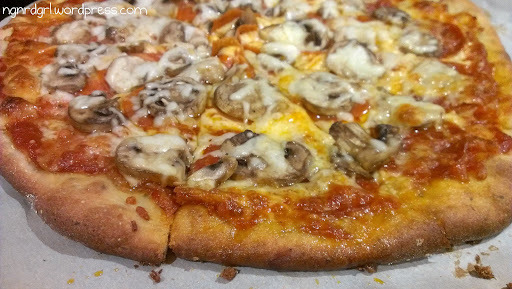 Check out this post for tips and tricks on how to make the best homemade pizza. I did notice that my pizza stone worked way better than my mom's pizza pan. Pizza on the pizza pan took way longer to cook and wasn't as crisp as pizza on the pizza stone. This month I decided to stop writing my monthly fitness update, because.... I hit my original goal weight! It just seemed like my updates were becoming pretty boring and monotonous. I figured I can incorporate some of those updates into my month end recap and goals. 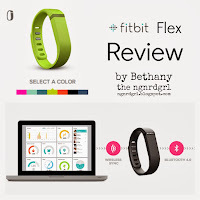 So instead of posting an update, I instead shared my FitBit Flex Review. If you are interested in wearable fitness trackers, check it out! I took the week of Thanksgiving off from blogging. It happens every year. We are always slammed at work this time of the year. It seems like I am always working the weekends around Thanksgiving. Because of this, I'm a little sluggish get this post published (I normally do it on either the last day or first day of the month). Also, we just realized we are late posting our Photog Show and Tell link party! Ooops! Guess that is holidays for you. We'll get it up ASAP. Check them out! I posted the following Wordless Wednesday Posts: Autumn Leaves, Douglas Fir and Stained Glass. Continue Participating in Wordless Wednesday: Check! 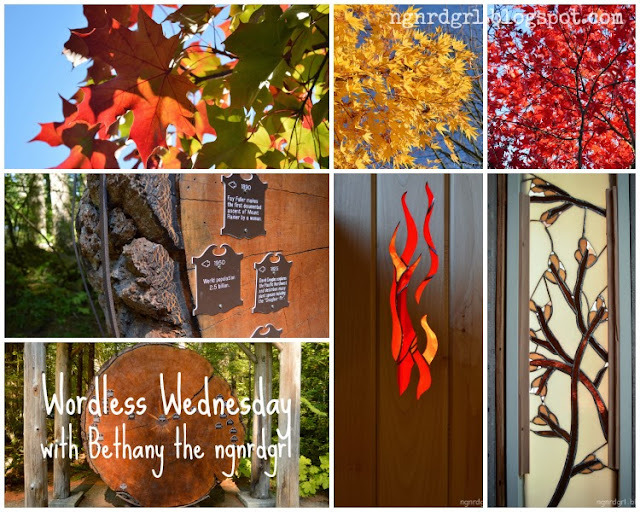 I did continue to participate in Wordless Wednesday. I'm happy that I have made this a regular blogging series. Blog about the First Time Homeowner Seminar: Check! 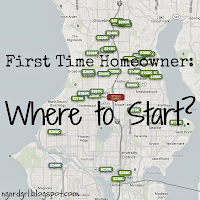 I posted First Time Homeowner: Where to Start?, which covered what I learned in my first time homeowner class that I took back in October. Apply for Pre-approval on a Home Loan and set up an appointment with a Real Estate Agent: Check! I have been preapproved for a home loan. This was really key in starting the home search. Now we know exactly how much we can afford. Do this before starting your search, because the worst thing would be to find out you can't afford a home you have fallen in love with. Blog about our choice of venue and thoughts on wedding decor and theme: Negative. I still have this and another wedding post in my back pocket. Bake a pumpkin goodie and blog about it: Negative. I really need to do this! I have a can of pumpkin with my name on it. 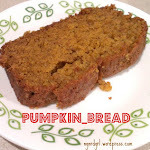 I noticed back in October that my Pumpkin Bread recipe started getting lots of hits. I think I might be a little late for this, but it would still be nice to get a recipe out there. Hey! Half complete, half not. Not too bad of a month, especially since I have been crazy busy at work and took a week off from blogging. Print out my Save the Date card so I can start distributing them. Bake a pumpkin goodie and blog about it. Bake some Christmas Cookies and blog about it. Make one DIY Christmas Craft. Make my mother-in-law a bracelet to match the earrings I made her last year. Well, that was my November and looking forward to December. 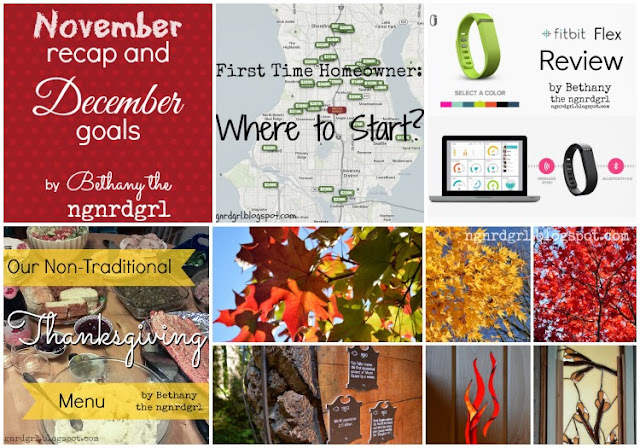 How did your November go? Would you rate it as a success? Did you get everything done that you wanted to get done? How does your December look?